Whether you’re looking to secure your home, garage, business, or anywhere else, if there is one item you will need to prioritize, it’s your door. Steel curtain rollup doors are very popular choices for people up and down the country, and in many other parts of the world. Surprisingly, these doors are not as simple and as straightforward as you may have initially thought. So then, we shall now be taking a more detailed look at steel curtain rollup doors, to help ensure you know as much about them as possible, before you commit to making a purchase. So, what exactly are steel curtain rollup doors? These doors are, not surprisingly, made from hardwearing steel and function to ensure easy and secure access can be granted to a whole variety of different buildings and properties. These doors get their name because they initially are retracted upwards, vertically, before rolling into a curtain shape once they reach the top of the window or door they are placed on. These doors are used in a whole variety of buildings, covering everything from garden sheds and outhouses, to secure government buildings, and of course, everything in between. What are the key benefits of using these doors? Steel curtain rollup doors are incredibly popular with property owners all over the globe, but why is that? Well, let’s take a look, shall we? Made from hardwearing and highly durable quality forged steel, these steel curtain rollup doors are built to last. They are not only designed to provide protection and security to prevent intruders from gaining unwanted access to a building, they are also designed to withstand harsh weather conditions. Other metal doors and shutters eventually rust in the rain, but these doors are designed to last and withstand even the harshest of conditions. The heavy duty steel makes them perfect for locations where they will sustain a lot of wear and tear, and it will not affect them in the slightest. As mentioned, another key reason why these doors are so popular is because they’re so safe and secure. Doors are of course very vulnerable parts of any building, especially businesses which have to be left unattended during the night. To ensure intruders are kept out, these doors can be utilized where they are incredibly effective. Not only will they make it virtually impossible to gain entry into the property, they are also fire resistant, and are far less susceptible to vandalism. Being virtually impenetrable, they certainly provide peace of mind, which is a huge bonus in itself. Steel requires very little maintenance, as it is so hardwearing and durable. What’s more, with products like Roll Up Doors Direct doors, there is the option of tensioning brackets which are gear driven, so simple and safe adjustments can also be made to them. Other than perhaps needing a quick wipe down every so often, and maybe a touch of oil on the hinges, maintenance is virtually zero. If these doors are installed correctly and maintained (very easy as we now know) they can last upwards of 30 years and can function just as well as if they were brand new. There is no rotting, warping, cracking, snapping, or denting to worry about, so it’s no wonder why they last so long. The doors often come with top quality primers and paints, which only help to improve their appearance, versatility, and durability even further. As these doors roll up into a neat curtain shape when they’re retracted, they actually help save space as they take up very little space overhead. For smaller properties and entrances, this is perfect. Coming in a number of colours, shapes, and designs, you can find a door perfect for your business. If your brand colour is red for example, the natural choice would be to go with a red door to help enhance the aesthetics of your property. We can custom make many roll up door sizes for your opening width. When choosing a steel curtain rollup door, make sure you know what you intend to use it for. For example, is security a key issue? If so, then a more durable, heavy duty door will be ideal. Is the door for a small building or perhaps a large industrial sized warehouse. All of this is important, so make sure you know for certain. If you live in a region where hurricanes, tornadoes, and other extreme weather events are likely, you will need doors which have been wind-certified. Make sure they are in accordance with IBC (International Building Codes) and make sure you let your insurance company know, and that they are in compliance. If you’re by the coast, salt in the air should be considered, so look at what you can do in that regard. 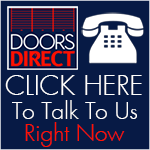 We can supply you with a selection of units from major manufactures at discount prices for many door widths. Our prices are for a boxed ready to ship unit (shipping depends on door size and zip code). All our units come complete with frame, fixings, mounting brackets, tension or reduced drive chain, lock/latch system in any of 22 colors and we can custom build a model for many roll up garage door sizes. Light use, residential and medium use metal units. Heavy Duty Wind rated units inc. Dade county approved. Insulated doors, sizes up to 20ft wide and 16ft high. Also medium to heavy duty commercial slat rolling steel doors, slat doors, roll up overhead doors, roll up shed doors, rolling doors, rolling steel garage doors. If you would like to build your own custom door or receive more information, please use our web site, or contact us by telephone.